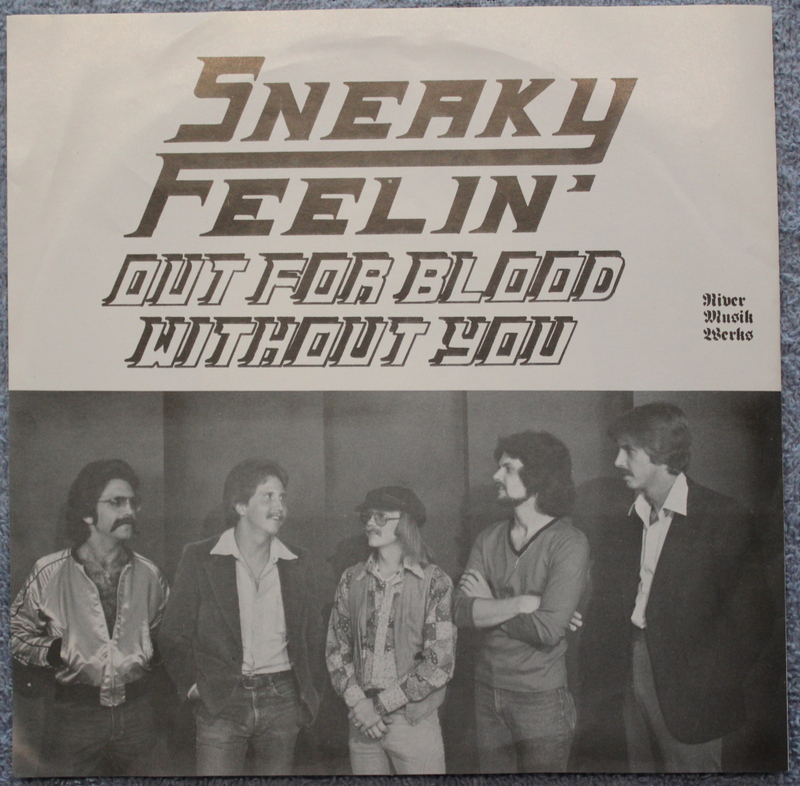 This is mentioned elsewhere on this site; that Steve Elliott left Silver Laughter to form a band called Sneaky Feelin’. Apparently, they even recorded a couple of originals and released at least one 45 RPM single. Below are the last few graphics I have of this band. First is the front cover of the record sleeve for “Out For Blood”/”Without You”. The second is the back of the sleeve. 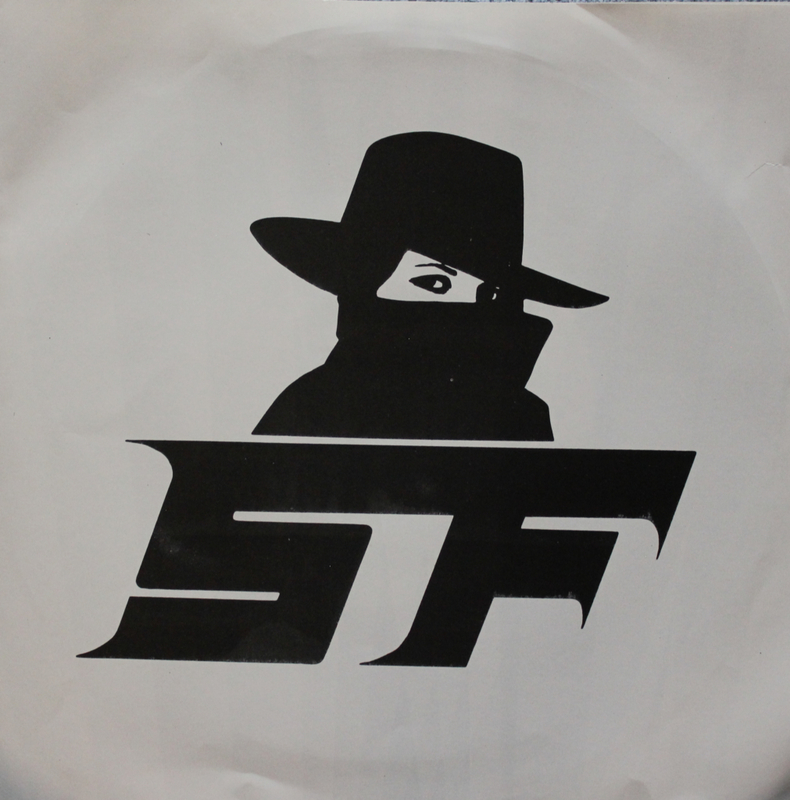 Photo number three is the A side of the vinyl record, and the last one is the flip side. That’s Steve second from the right.